War tore apart Johua, a ruling planet in space where power meant everything and corruption of power ruined not only Johua but all other planets awakened to space travel. A team of Johuan scientist devised a plan that would contain if not eliminate their foe, the Ovions. The plan involved the introduction of EM1, an emotional management technique, that would curb the rage within the Ovions that the Johuan scientists believed drove them to unfailingly overpower the otherwise genetically equal Johuans. But unrest is stirring amongst the Johuans. A plan is hatching to rid the universe of its Ovion protectors and to amass the wealth of the awakened worlds for Johua. “The Final Frontier”, a captivating fantasy/sci-fi romantic novel written by author H.M. Irwing is narrated from the point of view of its main character, the bio-engineered smuggler and fugitive from the insular Johuan race, Sim Drewal and several other key characters. Sim an outsider student at a Johua military academy until she unwittingly killed a depraved instructor by using a power called “blue” is now on the run. She is scooped up by the Ovions, a virtuous, formidable Johuan guardian-peacekeeper caste that upholds justice throughout the United Awakened Worlds. They reveal Sim’s incredible origin; Sim and her three secret siblings are superior beings who were created by a missing mad scientist named Bimas Chawley. The Ovions want to use Sim to track him down, because someone is planning to use Chawley’s stolen technology to trigger a universal catastrophe. Meanwhile, it appears that the corrupted Johuan ruling class is moving to eradicate the Ovions and their associates. This all leads the story to an obscure planet—Earth in the year 2020—which allows the story to embrace culture-shock comedy with the alien beings trying to acclimatize themselves to Earth. Other story elements that add to this cosmic level of excitement includes a female U.S. president, hints of the existence of a divine creator, a Gaia-like spiritual force and bat-like winged angelic beings. A page-turner space fantasy adventure, “The Final Frontier” will stir readers’ imagination on the mysteries of space and for them to unravel its secrets. It will make them experience the journey of the characters from one planet to another deep within the vast universe. Filled with intrigue, humor, political drama and fast-paced action, this volume will make readers crave for more. 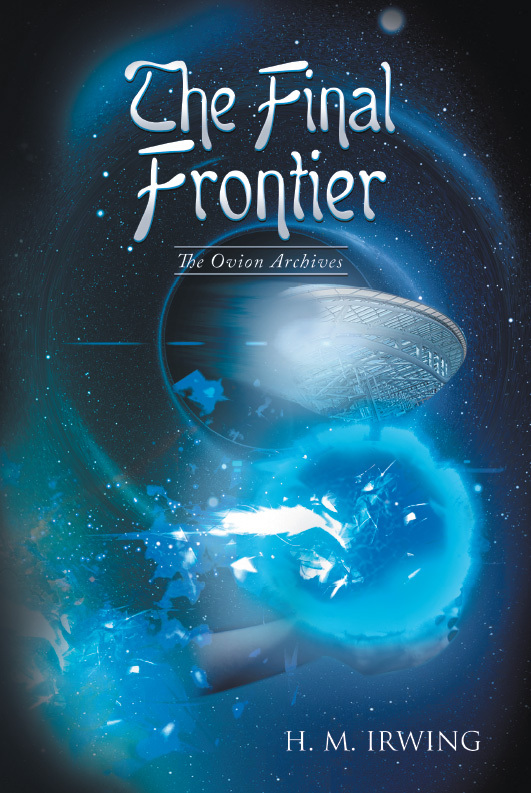 H. M. Irwing is the author of the bestselling The Final Frontier, the first of The Ovion Archives series. Irwing contemplates life and fantasises over the frontiers of space from the great Down Under. With Australia as a base, there is no stopping the creative juices of one great fiction writer. To order your copies of “The Final Frontier“, click here for Amazon US and here for Amazon UK. You cal also check out the author’s website here and read an excerpt from The Final Frontier here.